Obituary for James "Jimmy" Lingan Spicer | Thomas Funeral Home P.A. James Lingan Spicer departed this life on September 7, 2018 at his residence in Vienna, MD. Born on July 6, 1939, he was the third son of the late Lingan Leon Spicer and Mary Bradshaw Spicer. Raised in Golden Hill, Maryland, he was a graduate of the Class of 1957 at South Dorchester High School and looked forward to their annual class reunions. 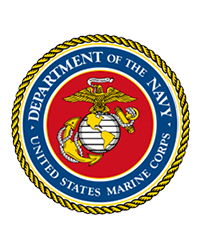 He joined the United States Marine Corps in December of 1957, where he was stationed at Camp Lejune, South Carolina and was deployed three times to Cuba. Upon his release, he was a CPL E-4. Returning home, he worked for a while at Blackwater Farms and for his uncle Thomas T. Spicer. He joined the State Service in 1963, as a MD Forest Ranger for Dorchester County. Later, he became a regional Fire Specialist working out of Wicomico County’s Regional office, until his retirement after 32 years in 1995. Jim always held a special interest in “rabbit dogs” and was very active in many clubs with field trial beagles, winning many medals and trophies. A passion he hated to give up, when he started having some health problems. Another enjoyment was hunting, he became a member of the American Rifle Association, eventually becoming a lifetime member. He served on the Dorchester Planning & Zoning Appeals Board and held membership in the Marine Corp League, American Legion Post #91, member of Ducks Unlimited, and an associate member of FOP Lodge #27. He was deeply proud of his “life membership” with Church Creek Fire Company. Moving to Vienna, MD in 1979, he and his wife became poultry growers in 1981 and members of the Delmarva Poultry Industry and Dorchester County Farm Bureau. He is survived by his spouse, Carole, a daughter: Jamie S. Willey and husband Tim, a step son: Mark Elliott and his wife Mary Ann and granddaughters Shelby Lynn Trice (Josh and great grandchildren Savannah and Coleman), and Taylor Ann Elliott, a sister Mary Etta Creighton (Robert), and a brother William Spicer, along with numerous nieces and nephews. Jim is preceded in death by his brother Barton and his wife Becky, sister-in-law Nancy Spicer, as well as his parents. The family would also like to thank his caregiver, Carol Price, who he called his “Angel”, and also Coastal Hospice for their caring and compassion. A visitation will be held on Wednesday, September 12, 2018 from 12 to 2 pm at Thomas Funeral Home, P.A. in Cambridge, followed by a Celebration of Life, which will be held at 3 pm at Eldorado Brookview Volunteer Fire Company, 5752 Rhodesdale Eldorado Road, Rhodesdale, MD 21659. Interment will be private at the Maryland Eastern Shore Veterans Cemetery. Anyone who wishes to make a memorial donation can do so either to Coastal Hospice, PO Box 1733 Salisbury MD 21802-1733, or to the Marine Corp League, C/O Don Creighton, 6 Richardson Drive, Cambridge, MD 21613.